The bestselling author of A Natural History of the Senses now explores the allure of adultery, the appeal of aphrodisiacs, and the cult of the kiss. Enchantingly written and stunningly informed, this "audaciously brilliant romp through the world of romantic love" (Washington Post Book World) is the next best thing to love itself. 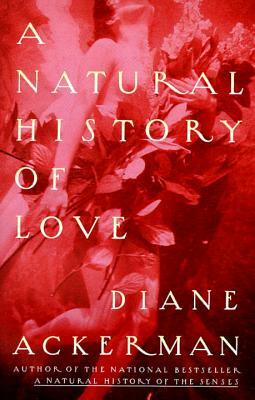 Diane Ackerman has been a finalist for the Pulitzer Prize for Nonfiction in addition to garnering many other awards and recognitions for her work, which include the bestselling The Zookeeper’s Wife and A Natural History of the Senses. She lives in Ithaca, New York.